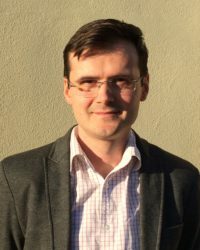 Corneliu Pintilescu is a researcher at the Institute of Social Sciences and Humanities Sibiu of the Romanian Academy. He has a Ph.D. in history from the “Babeş-Bolyai” University, Cluj-Napoca with a dissertation entitled: Judicial Mechanisms of Political Repression in Romania (1948–1956). Case Study: The Military Tribunal in Cluj. He authored two books and published over thirty articles and studies in various scientific journals and collective works. His research interests include military justice and political repression in communist Romania, the nationalities policy of the Romanian state during the post-war period (with a focus on the German minority), and the politics of memory in post-communist Romania. “‘Wer gegen uns ist, ist gegen das Reich.’ Die NS-Propaganda in der Siebenbürgisch-Sächsischen Landwirtschaftlichen Presse (1935–1944).” Spiegelungen: Zeitschrift für Deutsche Kultur und Geschichte Südosteuropas, vol. 11, no. 1, 2016, pp. 71–76. “Problema ‘Naţionalişti Germani’ în activitatea Securităţii (1948–1964).” [The so-called ‘German Nationalists’ issue within the activity of the Securitate], Identități Sociale, Culturale, Etnice și Religioase în Comunism, edited by Cosmin Budeancă and Florentin Olteanu, Polirom, 2015. (with Lavinia Snejana Stan) “(Im)Permeability of the Border in Late Socialism: The Small Traffic Phenomenon on the Romanian-Yugoslavian Border.” European Border Regions in Comparison: Overcoming Nationalistic Aspects or Re-Nationalization?, edited by Katarzyna Stokłosa and Gerhard Besier, Routledge, 2014.